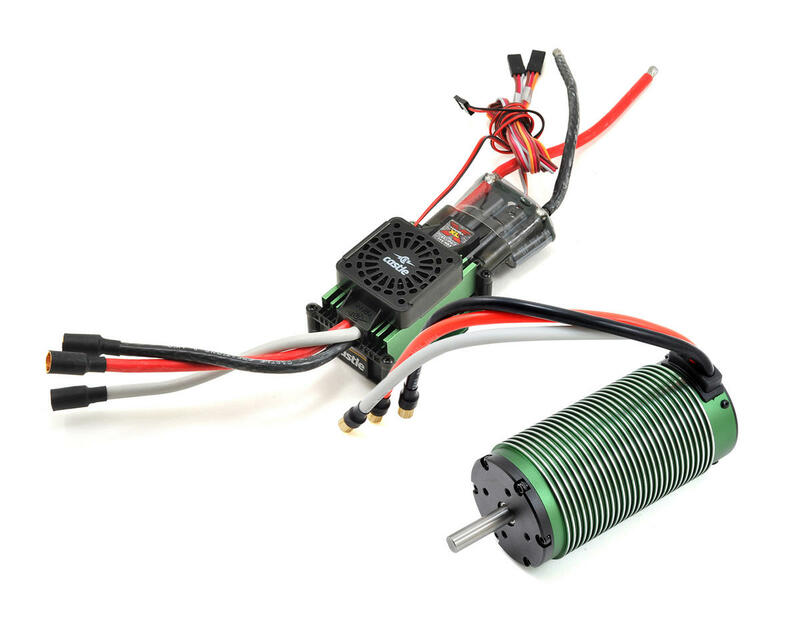 Castle's Mamba XL X 1/5 Scale ESC and 2028-800kv Extreme motor combo is a high-performance 1/5 scale system for RC vehicles. This duo is the perfect combination for large-scale, ultra-high-performance large scale RC vehicles. Have you ever seen a 1/5th scale Baja doing 70 mph? If you’ve got the traction, this Castle combination can get you there. The features of this recently revamped ESC will prove this supercharged combo will provide all of the brains and brawn needed to OVERPOWER your 1/5th scale rig. HIGH POWER BEC: A robust, user adjustable, internal 20A peak BEC will provide plenty of juice for applications with powerful servos and electrical components that run off the ESC. Max Throttle Percentage Adjustment: Perfect for passing the controls to children, neighbors, or your boss. The ESC’s maximum power is scaled from 10% to 100% depending on the signal received on the AUX wire. Max Reverse Percentage Adjustment: The ESC’s maximum reverse power is scaled from 10% to 100% depending on the signal received on the AUX wire. Max Brake Percentage Adjustment: The ESC’s maximum brake power is scaled from 10% to 100% depending on the signal received on the AUX wire. Drag Brake Adjustment: Experiment with different settings (0% to full brake) on different tracks to be able to tune to the conditions quickly wherever you race. For bashers - a very light amount of drag brake can make the car seem more under control and easier to drive. Because bashing is often on uneven and low-grip surfaces, use very low settings at first to avoid spinning out when it engages. Reverse Enable/Disable: Depending upon the signal received from the AUX wire, reverse capability is enabled and disabled (only works in modes with reverse). Torque Control Adjustment: The Torque Limit feature is essentially a more effective form of Punch Control, where by the ESC can detect how much load is being placed on the motor and reduce the power it receives - this is extremely useful and effective for reducing wheelies and back-flips from a standing-start, something you definitely do not want when you are racing. You can dial in from 0.1 to 5.0 with the AUX wire functionality. Datalog Erase: Toggle the Auxiliary channel for a few seconds while in idle to erase the datalog. This can be added to any of the above modes. DATA LOGGING – AN INCREDIBLY POWERFUL PERFORMANCE MEASUREMENT AND OPTIMIZATION TOOL: Data Logging enhancements include doubling the logging capacity and adding the ability for users to erase the data log utilizing the auxiliary switch. Enabling the data logging feature will maximize performance and setup optimization. Data Logging will record important power system information during use, turn-by-turn. Once the data is uploaded to the Castle Link Graph Viewer, users can view and analyze parameters such as battery voltage, battery ripple voltage, amp draw, motor rpm, and controller temperature. Ensuring a setup is performing within its limits is imperative to a healthy power system. The Castle Quick Connect Duo (sold separately) offers users access to both wires into the single Castle Link connection, without opening the receiver box! The Quick Connect Duo detects the presence of a Castle Link adapter on the free lead and will then will switch the controller's signal line from the receiver to the Castle Link. INDUSTRY LEADING SOFTWARE FUNCTIONS: Your Mamba XL X purchase includes a redeemable coupon for a free Castle Link USB device. This allows access to the full programming suite of adjustable settings that tune and tweak your vehicle to your preferences, resulting in an incredible RC driving experience. 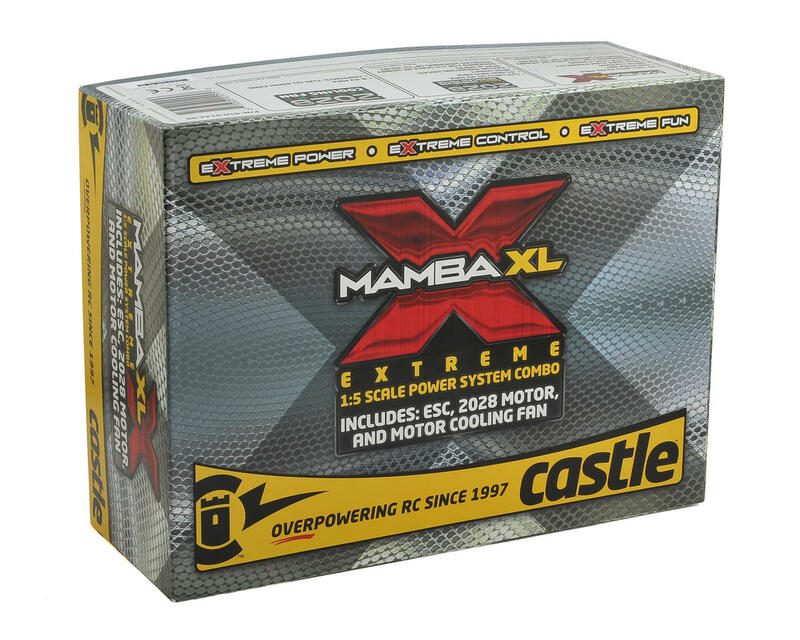 See the full list of Castle Link Mamba XL X settings here. AUDIBLE ALERTS - ELIMINATING THE GUESSWORK: The ability to diagnose and resolve problems in the field are made easy as this ESC will communicate with audible tones when certain conditions are present. These alerts occur when your vehicle is stopped and the ESC is on neutral. They consist of a sequence of long and short beeps repeating every five seconds. To determine the cause of the alert you simply record • for short beeps and ‒ for long beeps, then match the code you heard to the provided list. Users may disable, or silence these features using Castle Link. See “Idle/Error Beeping” on the “Basic” tab in the Castle Link. Application Guidelines: 1:5th scale RC hobby vehicles weighing up to 30lbs. 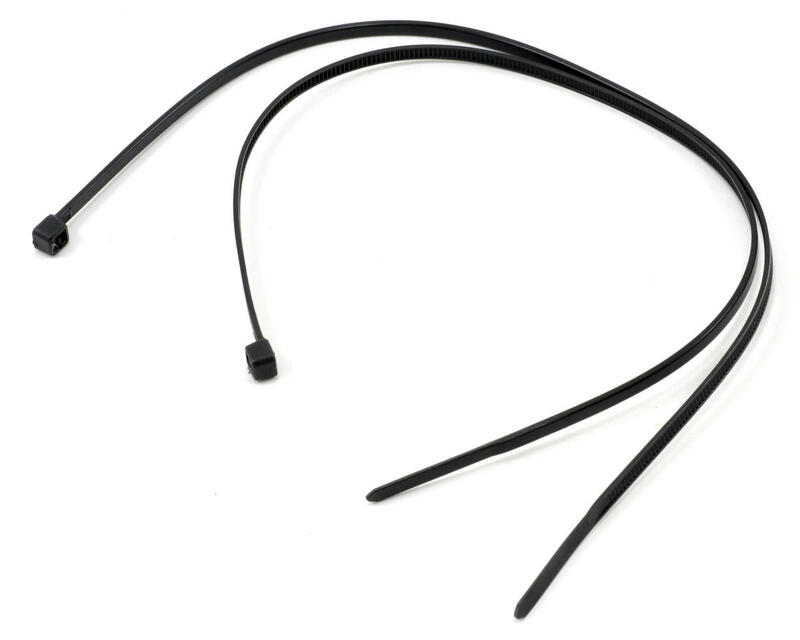 Items Needed for Operation: A high current connector designed for high-powered electric systems, rated for 100+ amps, such as Castle CC Bullet 6.5mm, CC Bullet 8.0mm, or 6.5mm Polarized Castle Connectors, soldered to the battery leads. Recommended LiPo battery capacity for 1:5th scale vehicles is 5000mAh with 50C continuous discharge or higher. 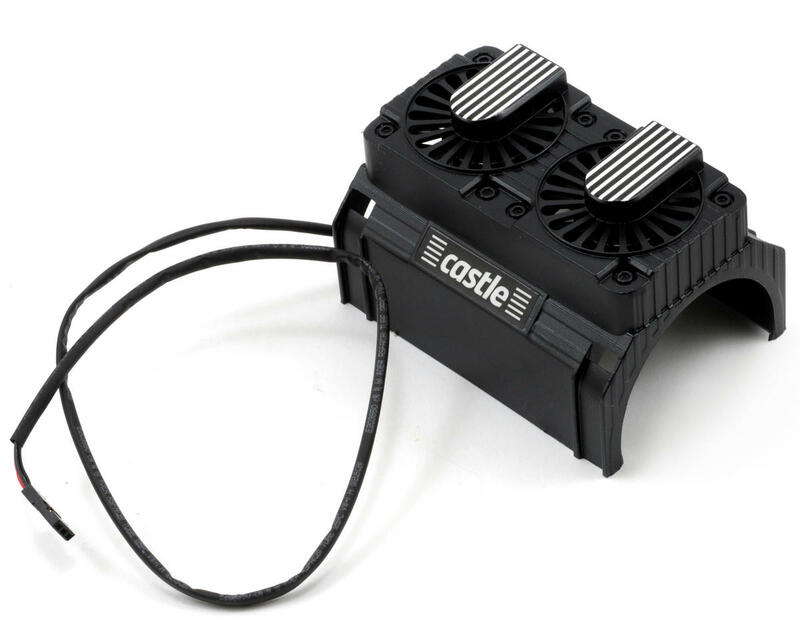 Castle recommends a high current connector designed for high-powered electric systems, rated for 100+ amps, such as Castle CC Bullet 6.5mm, CC Bullet 8.0mm, or 6.5mm Polarized Castle Connectors. Applying voltages higher than 33.6V will cause irreparable damage to ESC. The Mamba XL X is not intended for human or animal propulsion. You must connect the AUX wire to an open channel on your receiver even if you are not using the Auxiliary function. You must remove the AUX wire from the radio before connecting ESC to Castle Link.